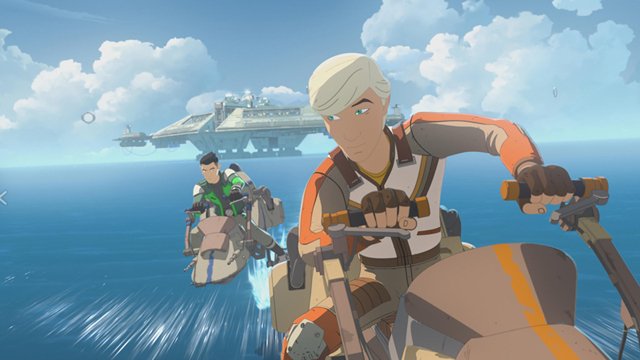 Actor Elijah Wood (Sin City) will be lending his voice to Star Wars Resistance, the anime-inspired cartoon set just months before the events of Star Wars: The Force Awakens. In the clip released by Lucasfilm, Wood plays Rucklin, a hot-shot sky racer who goads Kazudo Xiono, played by Christopher Sean, to make some potentially unwise choices in the quest for hyperfuel. You can check out the video in the player below! The voice cast includes Sean (Days of Our Lives); Suzie McGrath (East Enders) as Tam Ryvora; Scott Lawrence (Legion) as Jarek Yeager; Myrna Velasco (Elena of Avalor) as Torra Doza; Josh Brener (Silicon Valley) as Neeku Vozo; Donald Faison (Scrubs) as Hype Fazon; Jim Rash (Community) and Bobby Moynihan (DuckTales) as Flix and Orka, respectively; Oscar Isaac (Star Wars: The Last Jedi) as Poe Dameron; Gwendoline Christie (Game of Thrones) as Captain Phasma; and Rachel Butera (Tammy’s Tiny Tea Time) as General Leia Organa. 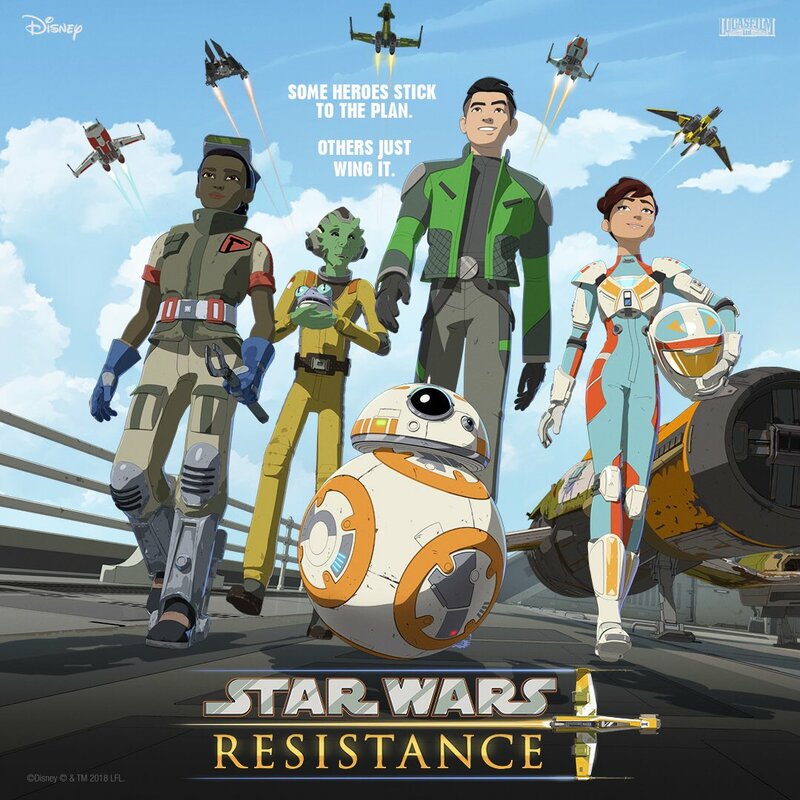 Renowned Lucasfilm Animation veteran Dave Filoni (Star Wars: The Clone Wars, Star Wars Rebels) created the series while Athena Portillo (Star Wars: The Clone Wars, Star Wars Rebels), Justin Ridge (Star Wars: The Clone Wars, Star Wars Rebels) and Brandon Auman (Teenage Mutant Ninja Turtles) serve as executive producers. Amy Beth Christenson (Star Wars: The Clone Wars, Star Wars Rebels) is art director. The episode featuring Wood, titled “Fuel for the Fire,” premieres on The Disney Channel Sunday, October 21.